Take I-75 N/I-85 N to Exit 249D towards Spring St/ W Peachtree St.
Cross over Spring St. and take the Left onto W Peachtree St. Turn Right onto Ferst Dr at Light. Take I-75 N/I-85 N to Williams St NW. Cab/Uber/Lyft: fares are approximately $35. MARTA (Metropolitan Atlanta Rapid Transit Authority): Trains take you from the airport baggage claim to the North Avenue station. It is a 20-minute ride. Fare is $2.50 one way, plus $1.00 for a Breeze ticket which can be purchased at any MARTA station. 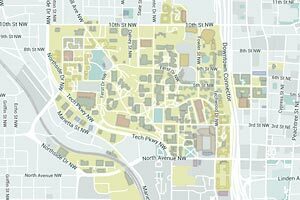 Walk three blocks west on North Avenue to campus or transfer to a bus on route #27 to Tech. Parking passes will be handed out at entrance of parking garage, each day. Parking vouchers will be handed out at entrance of parking garage, each day. 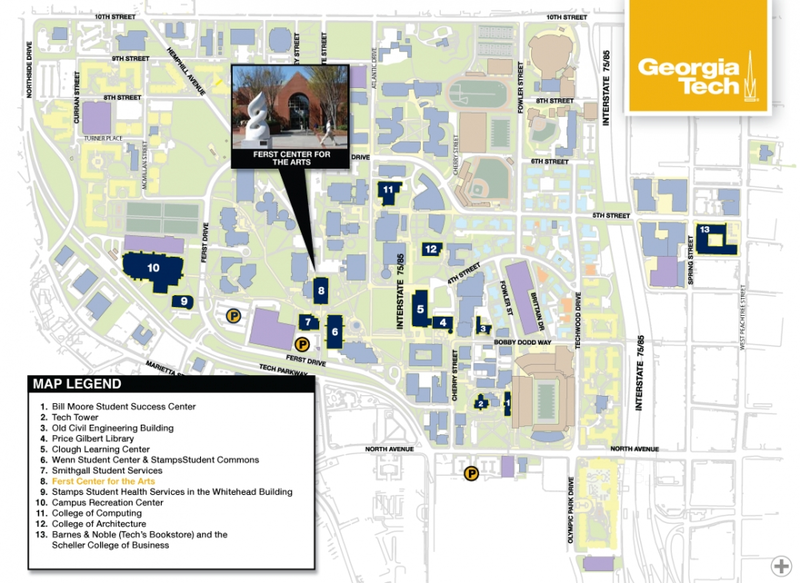 Shuttles will be available to take you to East Campus Housing Office for Check In from Tech Square Parking Deck.